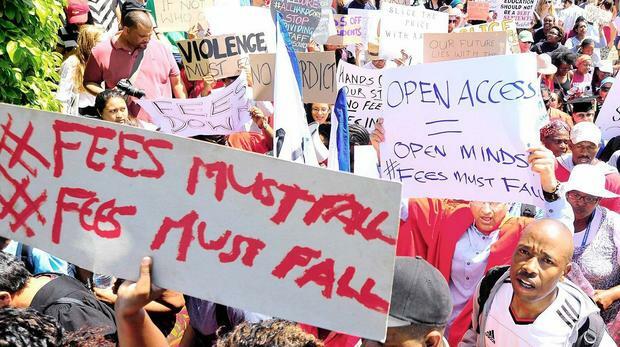 During the #FeesMustFall campaign students sought alternative avenues such as online learning in order to complete the academic year. With funding from the Carnegie Corporation of New York, the Universities of Cape Town, the Free State, Johannesburg and Pretoria conducted research and prepared case studies related to the uptake of blended learning during the campaign. The University of Pretoria, was tasked with arranging a national convening in mid-2018 for the four universities to share insights and make recommendations on the use of educational technology in their institutions. In addition, Cape Peninsula University and Nelson Mandela University also presented their institutions’ experiences. The case studies were presented to delegates from eighteen higher institutions, representatives from higher education statutory bodies, and staff from Saide. Accustom lecturers and students to working online some of the time as part of a 21st century approach to teaching and learning. Accustom students to more self-regulated learning. Design blended learning on sound online teaching principles to promote student engagement and success. Capitalise on and scale practices that students found useful. Be prepared and have an institutional policy structure to regulate blended learning to ensure standards are maintained. Deal with digital literacy of staff and students. Deal with access to devices and data for staff and students. A second national convening is planned for March 2019 to share the good practices that have emerged.